I love summer. Especially the fruit that comes with it. So much so that when I go for my morning jog around my neighbourhood I search out overgrown fruit trees that might just be hanging over a fence somewhere. And this morning - to my delight - the moment was there. A fig tree. Next to a car park. It stood there like its been waiting for me to eat from its fruit for years. Well that's how it felt. If you're a fruit lover you'll know exactly what I mean. So I picked as many ripe ones as I could find. I love the sweetness of its centre. Syrupy yet crunchy. And the colour is so...rustic. Delightful! Chocolate - the amount you'll make will depend on the number of figs you have. Just mix together cacao powder and coconut oil until you get a dipping chocolate consistency and then add agave/maple syrup to taste. 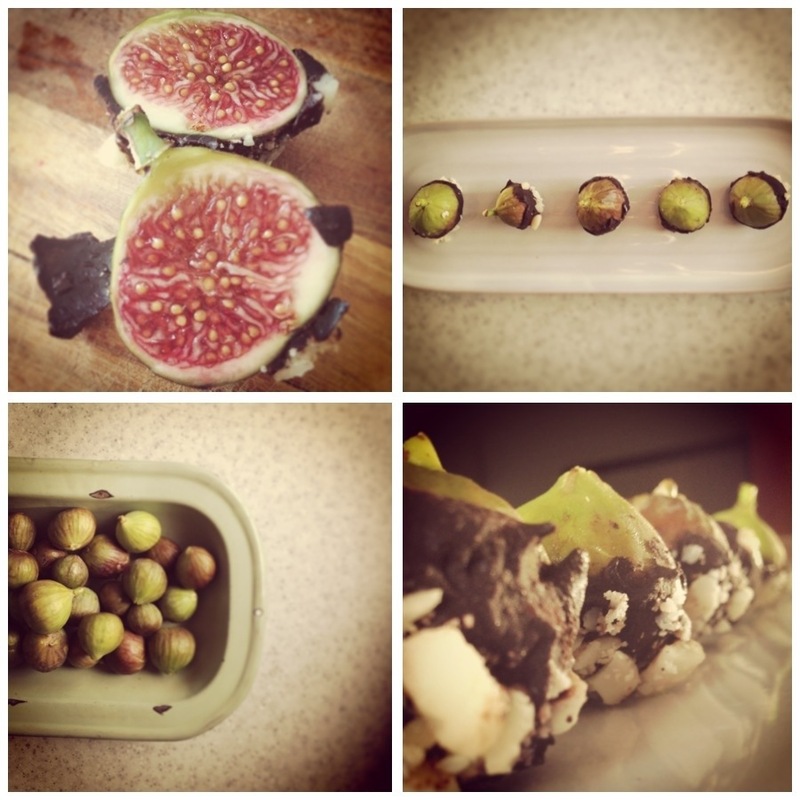 Dip figs in chocolate & roll in nuts. Lay on a plate lined with wax paper or sprayed with oil. Voila! !